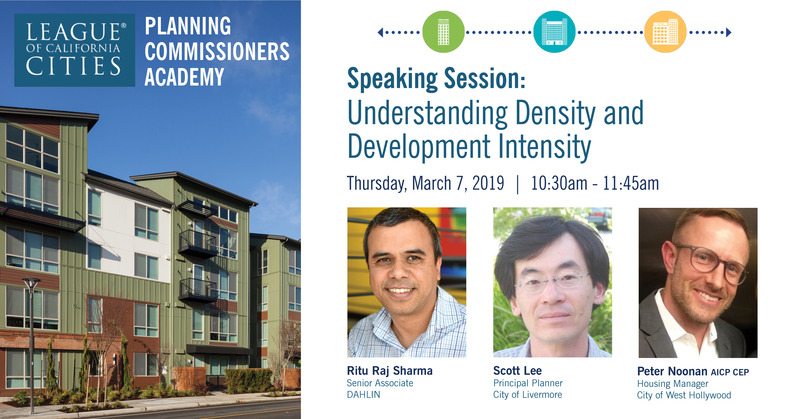 Join Senior Associate Ritu Raj, Scott Lee of City of Livermore City Hall, and Peter Noonan of City of West Hollywood as they present, "Understanding Density and Development Intensity." As density is essential in shaping communities, the state is mandating higher density development in response to California's housing affordability crisis. While the compact nature of higher densities can provide more equitable access to services and amenities, often the perceptions of how high densities look when built is misguided. In reality, how dense a building looks varies greatly according to unit mix, building height, unit sizes, parking requirements, and other regulatory requirements. Panelists will discuss how to understand differences such as density vs intensity, FAR vs Lot Coverage and share examples and creative approaches to limit the impact of higher density development in built communities.